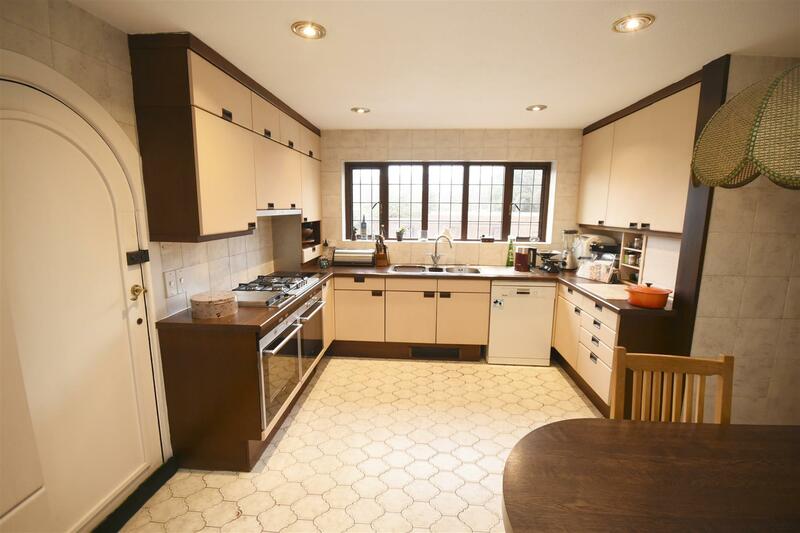 Berkeley Shaw prestige are proud to bring to the market for the first time in over 40 years, this charming detached six bedroom residence. Sitting on a double plot with private park style gardens of just under an acre this truly is a unique opportunity. 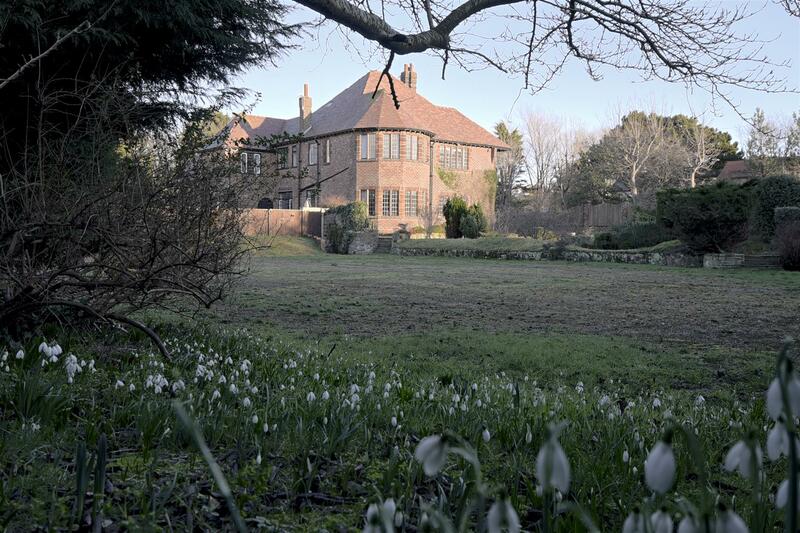 Built in 1926 by a local timber merchant and thought to have been a wedding gift to his daughter. 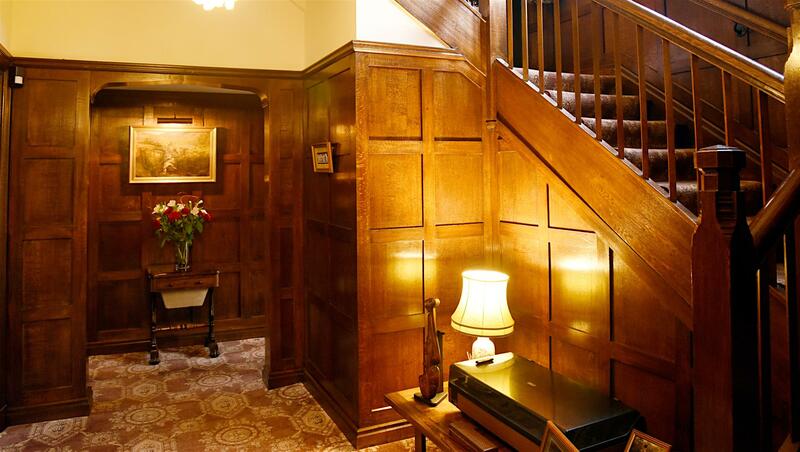 The home retains many character features that have been lovingly maintained; including 400 year old oak paneling to the principle reception room. 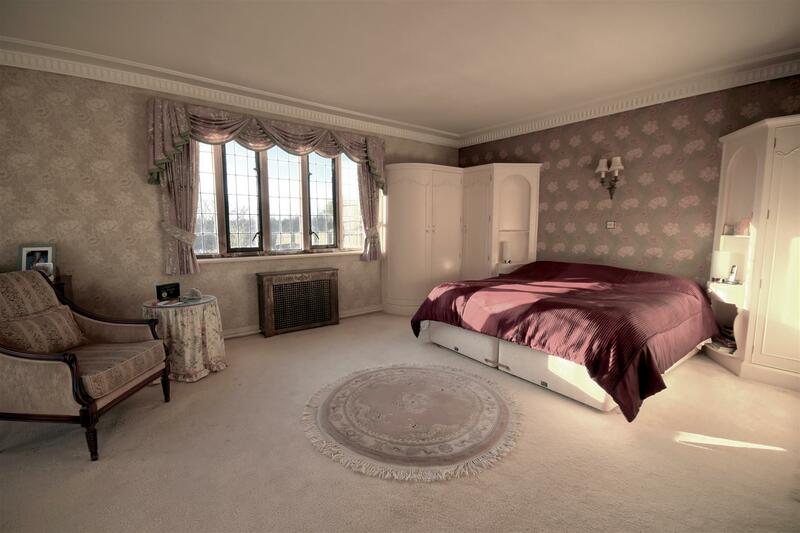 Other original features include cast iron radiators and original art deco coloured bathrooms. The property offers spacious and well-proportioned accommodation, currently offering to the ground floor three reception rooms, kitchen overlooking the outdoor heated swimming pool, utility room and study, whilst to the first floor there are six bedrooms with a master ensuite bathroom and further family bathroom. 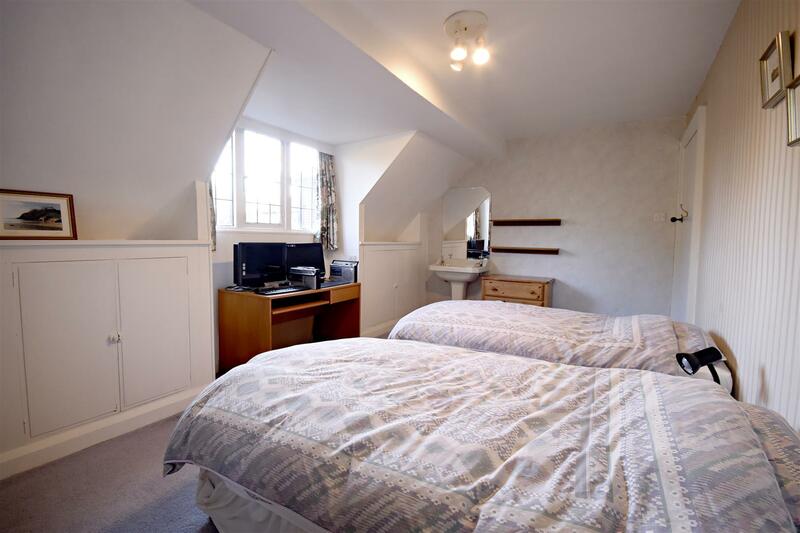 Most of the rooms have stunning views over the gardens that lay to the front of the home or the private rear patio that runs alongside the outdoor heated swimming pool. 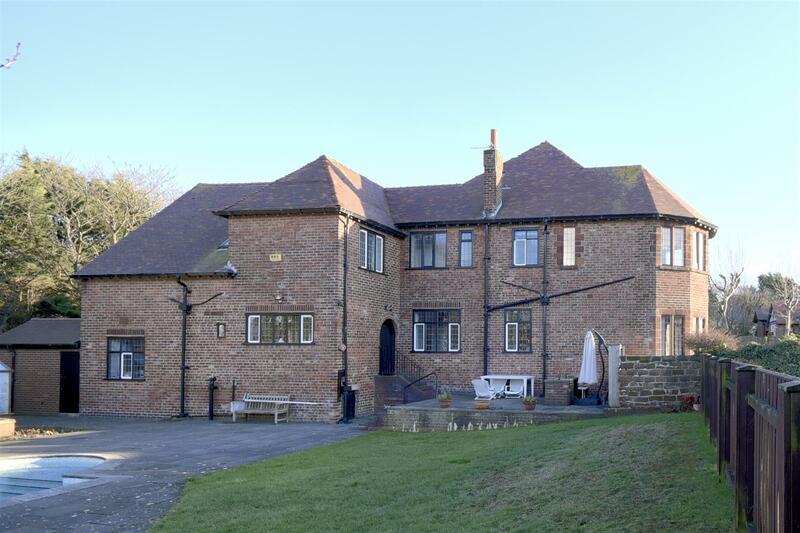 Other external features include a sweeping in and out driveway providing ample parking also a detached double car garage. 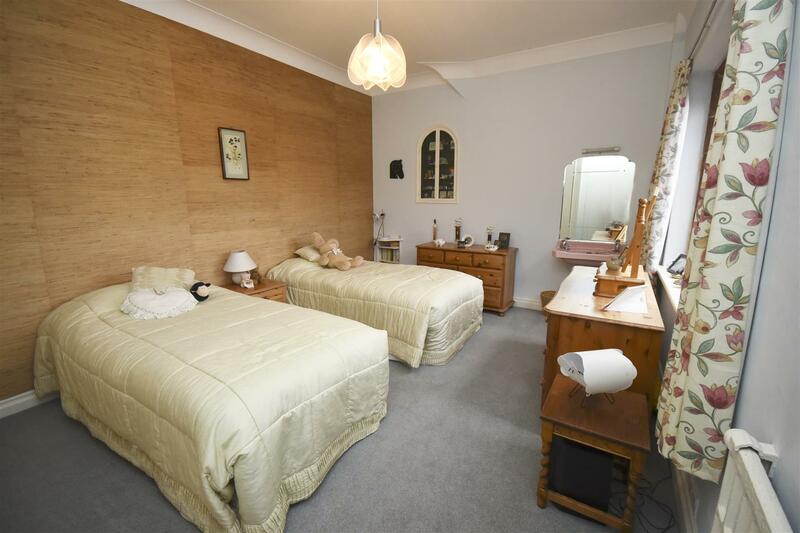 An internal inspection of this home is highly recommended. Indeed it is possible to consider development of the site. A spacious entrance with feature wood cladding to the walls to the hall, the turning staircase and the first floor landing. Doors off to the lounge, dining room and games room. 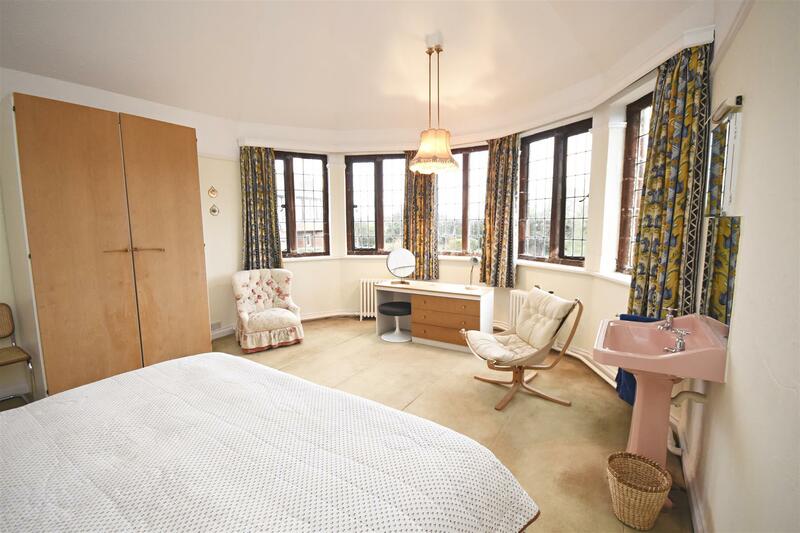 Tucked around a corner there is a charming original telephone lobby and built in drinks cabinet. 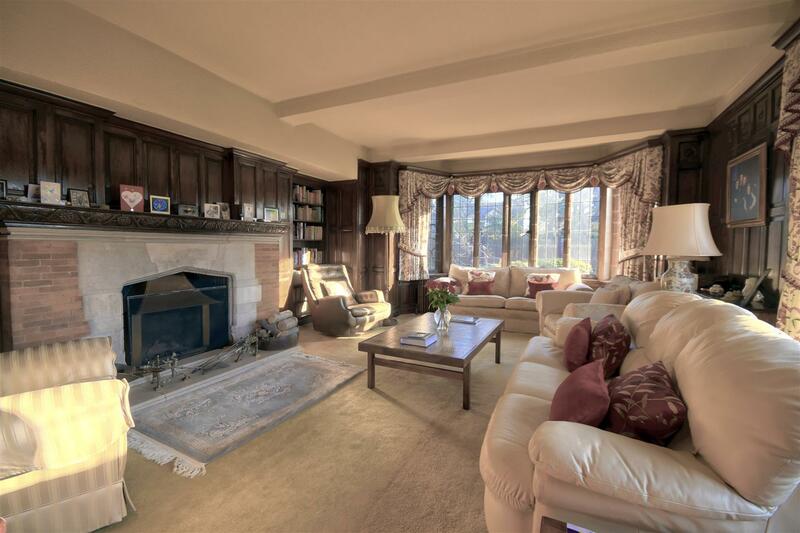 Access to the inner hall that leads to the family room with further study room. With WC and hand wash basin. Heated towel rail. 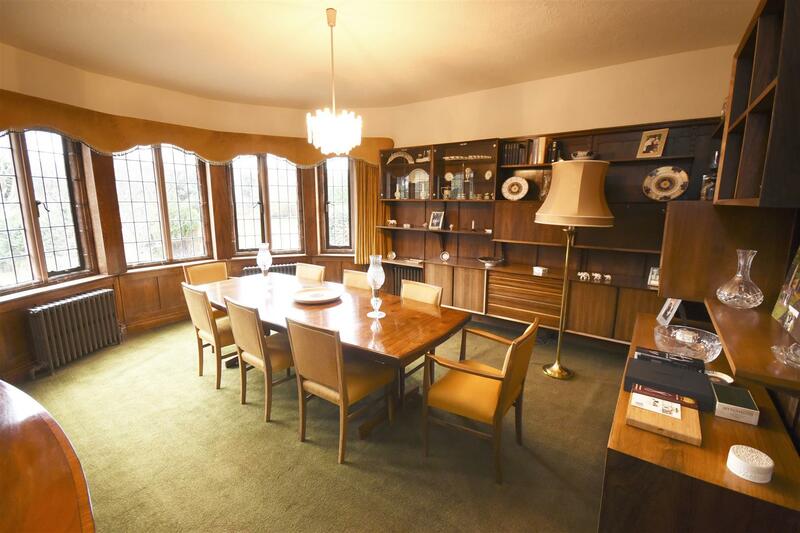 A stunning principle reception room with feature wood paneling to the walls, large bay window the front and further window to the side both with lovely views across the park style gardens. 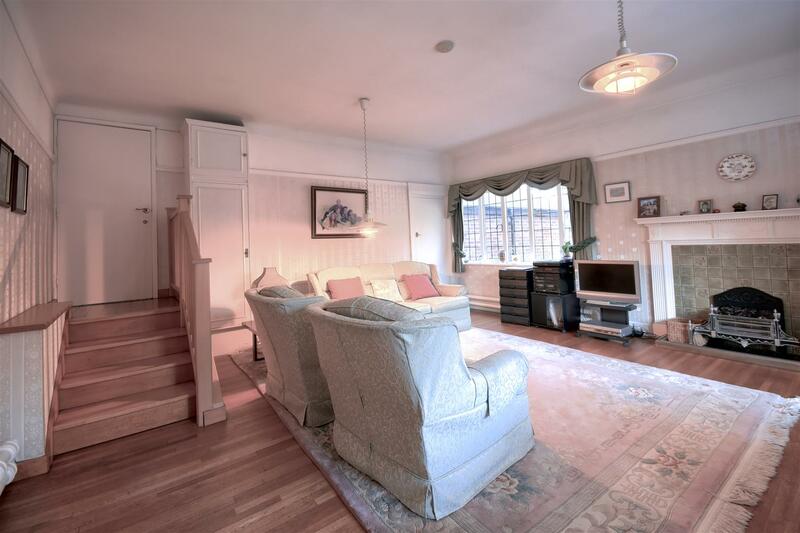 Heating in this room is provided by an open fire and additional original cast iron radiators. 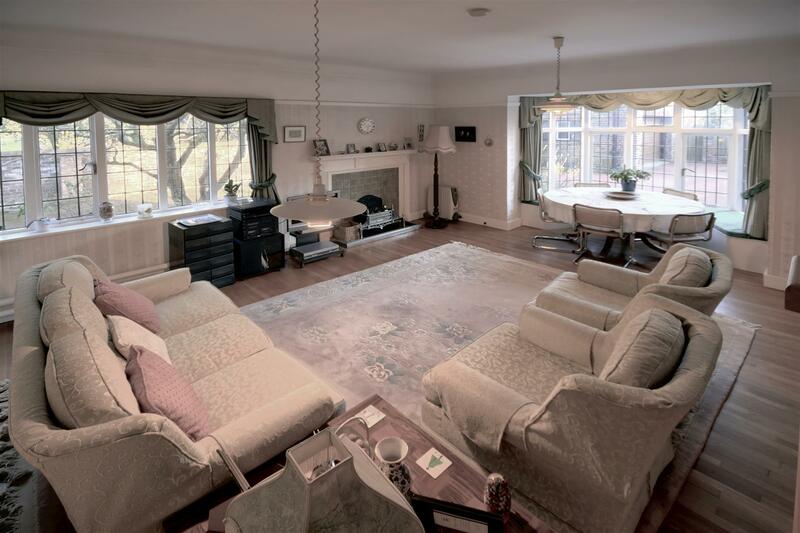 A formal dining room with lovely views to the side garden that is heated by original cast iron radiators. 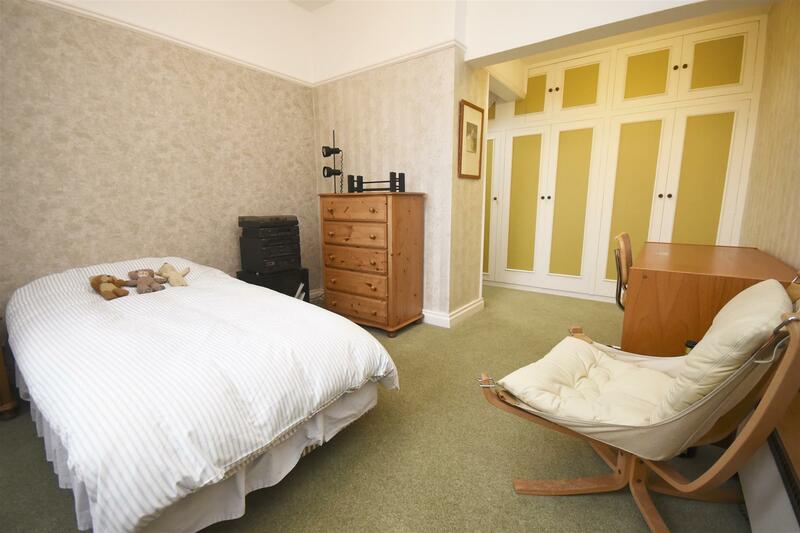 A versatile room that is currently used as a games room, with views again to the side. Access to the utility room and kitchen is via this room. Fitted with base units with roll top work surfaces over incorporating stainless steel sink unit. Space for under counter appliances. Door to kitchen. There is the original bell system which is still in working order. Fitted with a range of base and wall units with roll top work surfaces over, incorporating double stainless steel sink unit with drainer with views of the private patio and outdoor heated swimming pool. There are two ovens with a gas hob over and two ring induction hob to the side with extractor hood. Integrated tall fridge. There is also a breakfast bar for casual dining and space for under counter appliances. Step down to inner hall with access to WC and family room. WC with hand wash basin. Window to side and radiator. 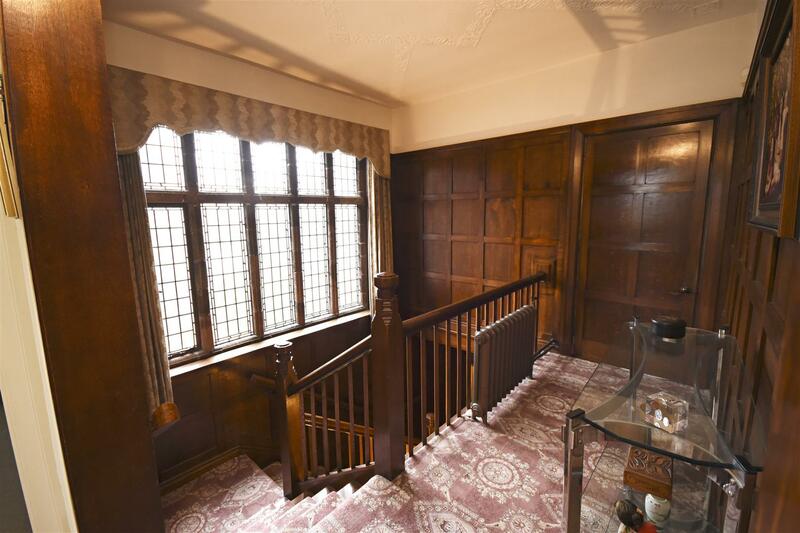 Steps down to the family room which has a lovely bay window to the front, with further window to side. Heating in this room is provided by a electric fire with tiled surround. There is a door giving access to the study, and another door leading back to the inner hall that links to the main entrance hallway. Radiator. 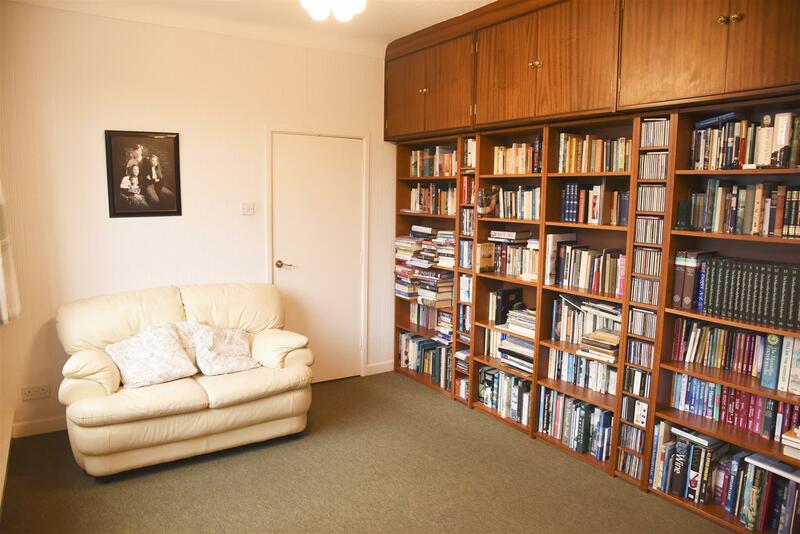 A cosy study with ample built in shelving and affording lovely views of the pool. Leading back to the main entrance hallway. There is an external door that leads to the side car parking area. A light and airy landing with feature paned glass windows to the side. A cast iron radiator warms this space and makes a lovely feature on the landing. Upon entering the master suite there is a lovely dressing area with built in wardrobes and drawers with a window to the side making this a light space. To the left is the ensuite bathroom which is fitted with an original art deco coloured bathroom suite with a deep bath, hand wash basin and WC. Heated towel rail. The master bedroom itself has a lovely bay window to the side and further window to the front allowing lots of natural light into the room. 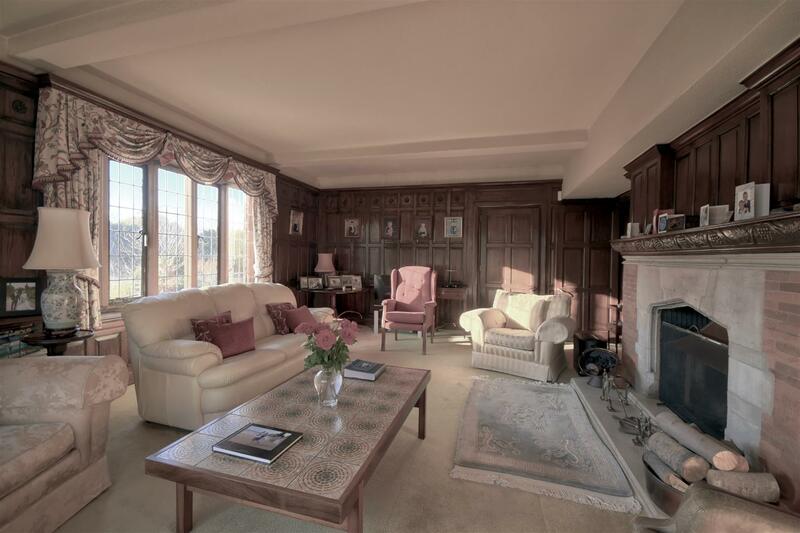 Heating in this room is provided by an electric fire with additional cast iron radiators. There is a range of fitted bedroom furniture. 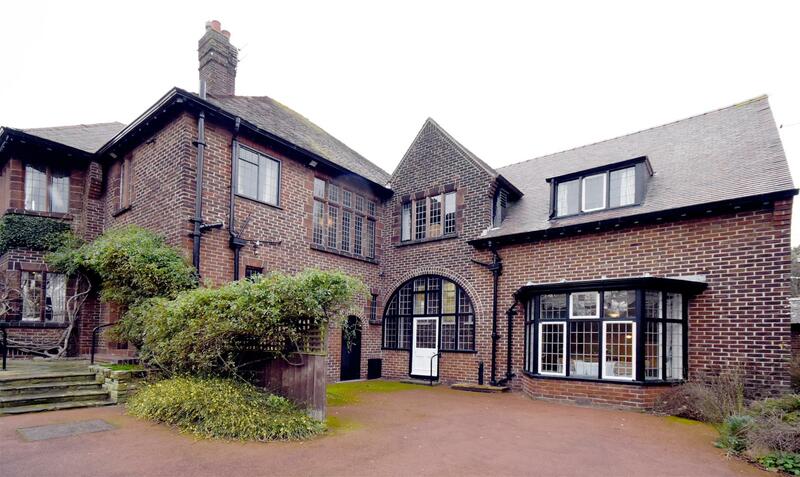 With views over the garden from a bay window to the front and additional window to side. Feature cast iron radiators and there is also a hand wash basin. 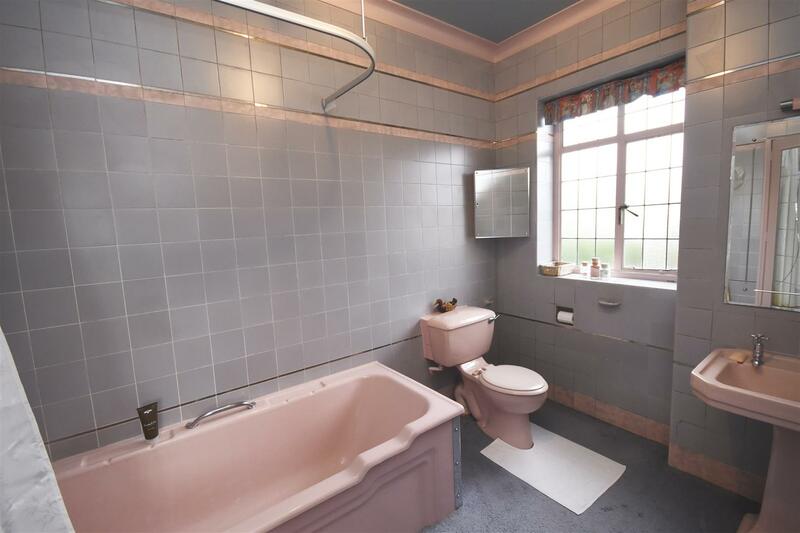 Fitted with the original art deco pink coloured suite there is a deep bath, hand wash basin and WC with feature tiling. Heated towel rail. Obscured glass window. With fitted wardrobes for storage. A feature of this room is a paned glass decorative shelving unit. Window to side with views of the garden. Hand wash basin. Cast iron radiator. With built in wardrobes and hand wash basin. Window overlooking the garden and further Velux window. Radiator. With windows to side and rear and built in cupboards. Cast iron radiator. 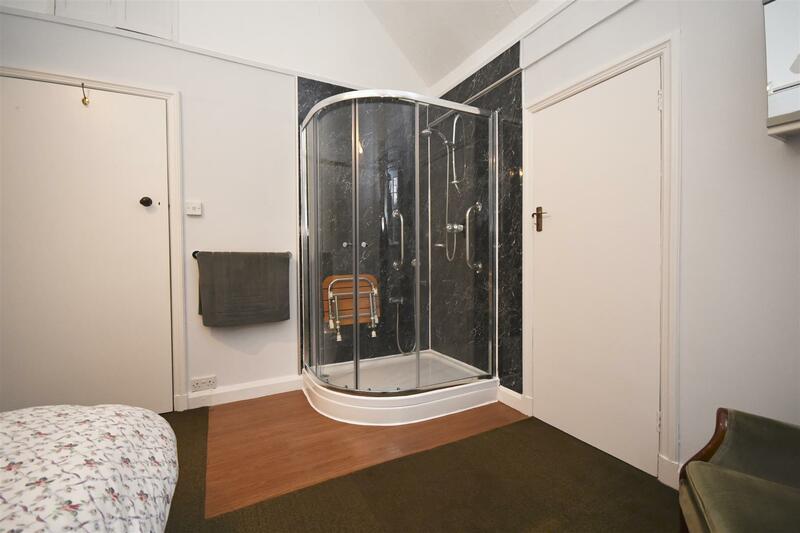 Fitted with a shower cubicle. Built in storage and window to rear. Feature cast iron radiator. 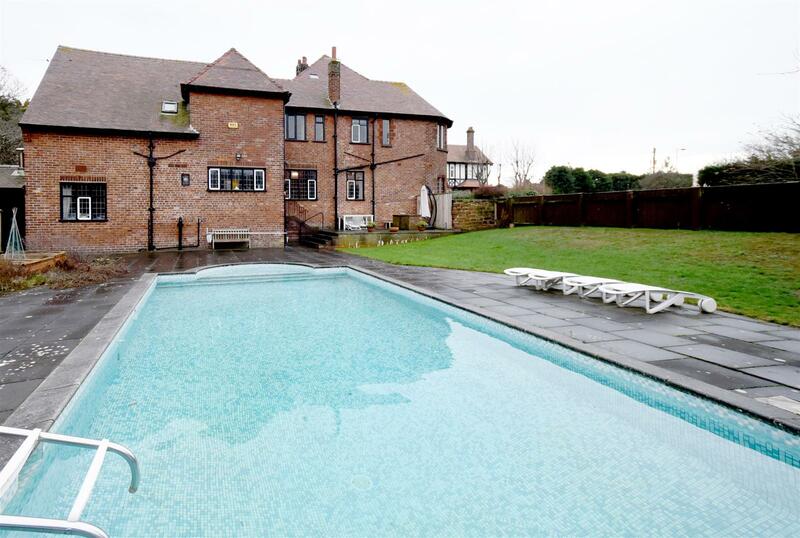 From the road the property is accessed via gates and the house is approached via a sweeping driveway. 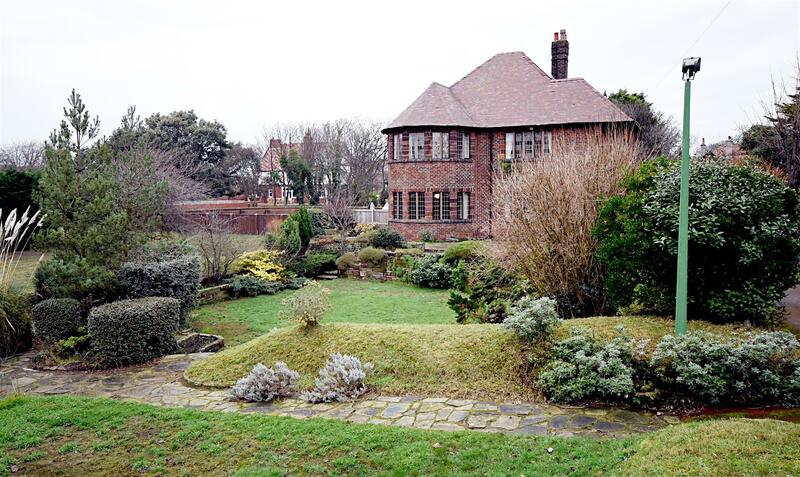 The property is positioned at the rear of the plot and the gardens are to the front and side. 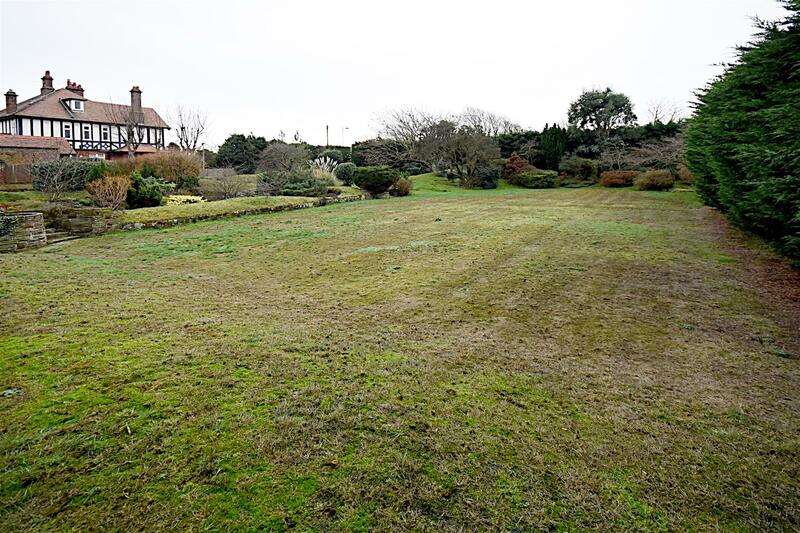 Sat in just under an acre, this is one of very few homes with a double width plot so there is plenty of space around you. 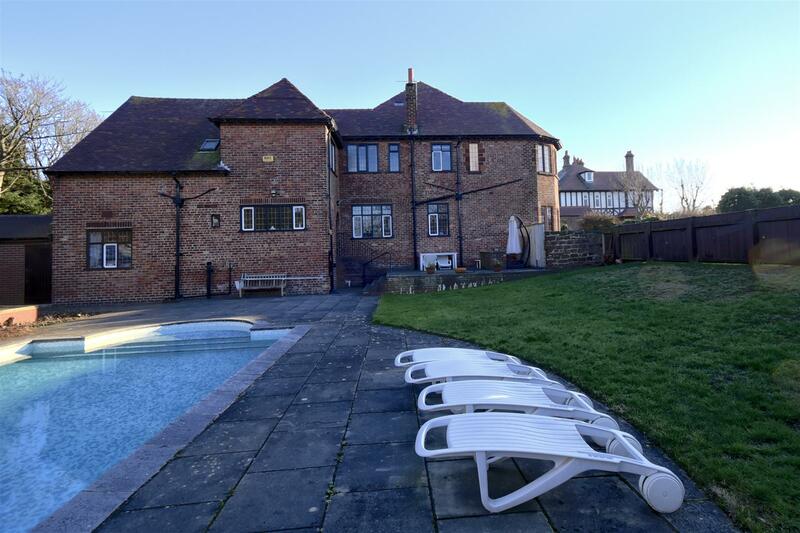 The gardens are South West facing and there a various patio areas for Al Fresco dining, the main area being around the outdoor heated swimming pool where this is a brick built bbq. There is also a green house and small vegetable plot with raised beds for growing. There is also a coal store and Pool control room. There is a detached double garage with electric up and over door, with power and light.